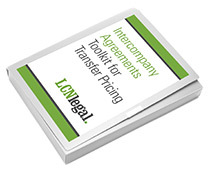 Law firm LCN Legal has published a suite of template intercompany agreements for transfer pricing. The templates form part of the LCN Legal ‘toolkit’ of practical resources for multinational corporates. For more information about the toolkit, click here. Most transfer pricing professionals agree that intercompany agreements can play an important role in supporting a multinational group’s transfer pricing policies. Despite this, many groups of companies, even large multinationals, have no intercompany agreements in place. Many who do, have no consistent policies for documenting the legal relationships between group companies. 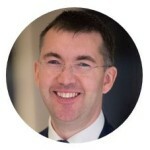 One reason for this may be that intercompany agreements often tend to fall between two stools – tax and transfer pricing professionals are reluctant to get involved in contract law, and non-tax lawyers are reluctant to get involved in tax matters. LCN Legal says that additional templates will be added in response to demand. Of course, the templates are designed to complement – and not replace – the work of transfer pricing professionals in creating appropriate transfer pricing policies for corporate groups, including the functional analysis of the relevant activities and comparables research. LCN Legal does not provide tax or comparables advice. The Global Head of Transfer Pricing of a Fortune 500 Company commented: “I really like the format!